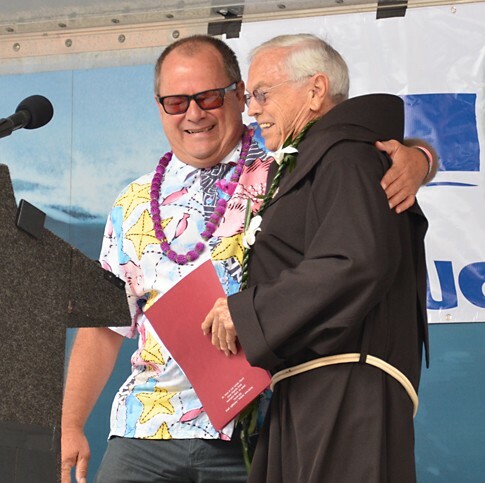 Father Christian Mondor "2013 Honor Roll"
Known as the "Surfing Priest"
They say God works in mysterious ways. 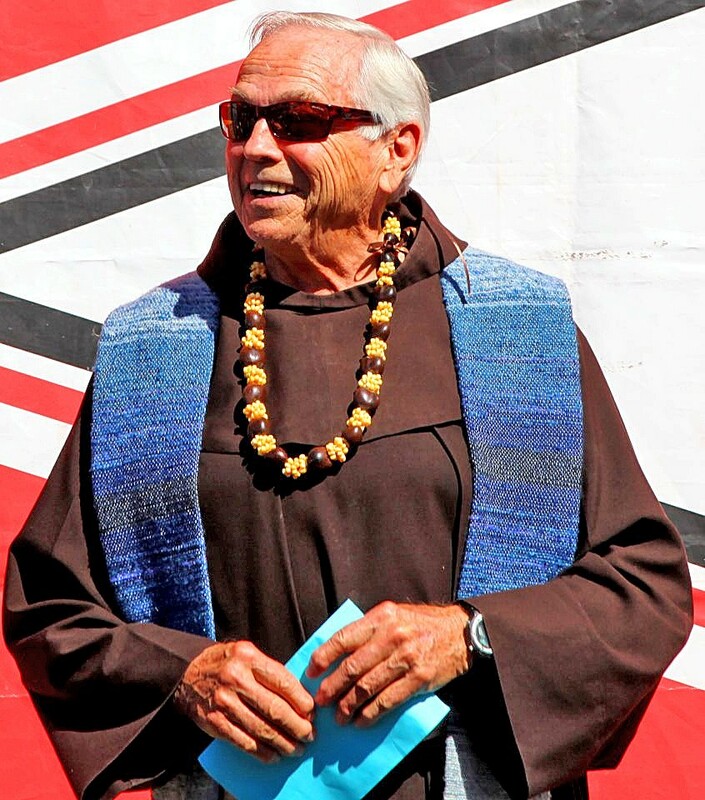 Which could be why Father Christian Mondor – a Franciscan friar and Catholic priest at Saints Simon and Jude Parish in Huntington Beach – didn’t pick up a surfboard until he was 70 years old. Born in Hollywood, California during the 1920s, Father Mondor found solace in the ocean and was fond of bodysurfing during his youth. He joined a Franciscan monastery in the 10th grade. And while he continued to serve God throughout his life, living in Surf City USA eventually got the better of him. 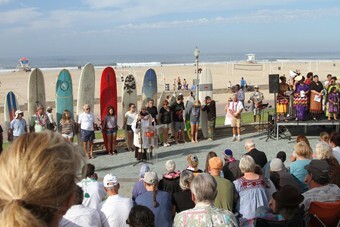 For his 70th birthday, he bought himself a surfboard for $100 and learned to surf at Bolsa Chica and San Onofre. 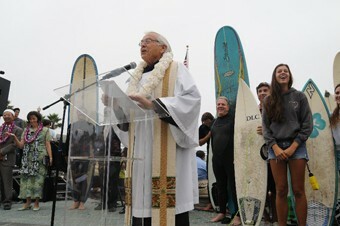 Now at 88, Father Mondor continues to enjoy the waves and their spiritual benefits. 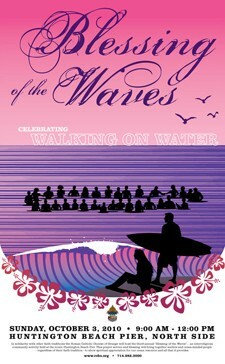 PHOTO: Courtesy Blessing of the Waves Facebook. PHOTO CAPTION: PT celebrating with Father Christian Mondor. 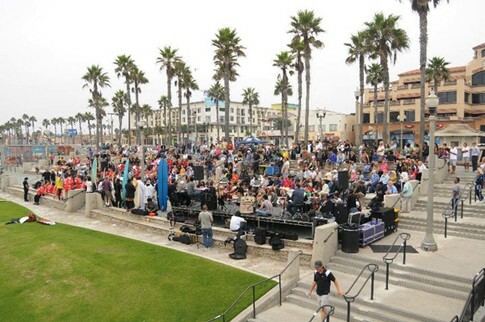 Photo courtesy Sharon Marshall.